Broadcast status updates via SMS to your subscribers in over 200 countries. 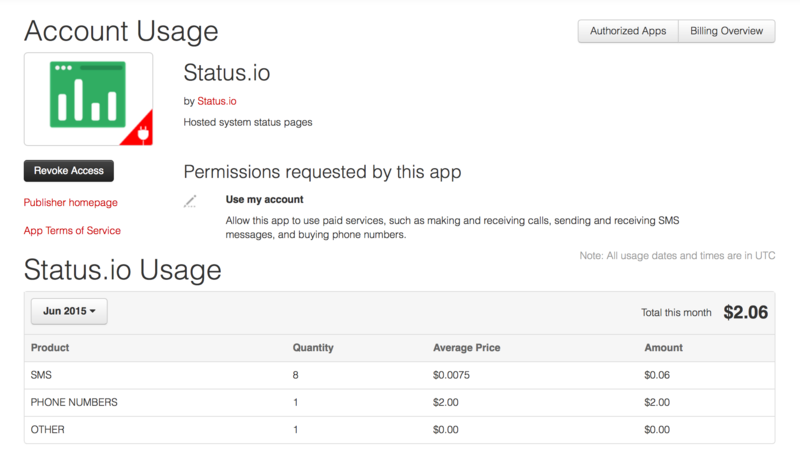 Status.io does not charge extra for SMS messages. 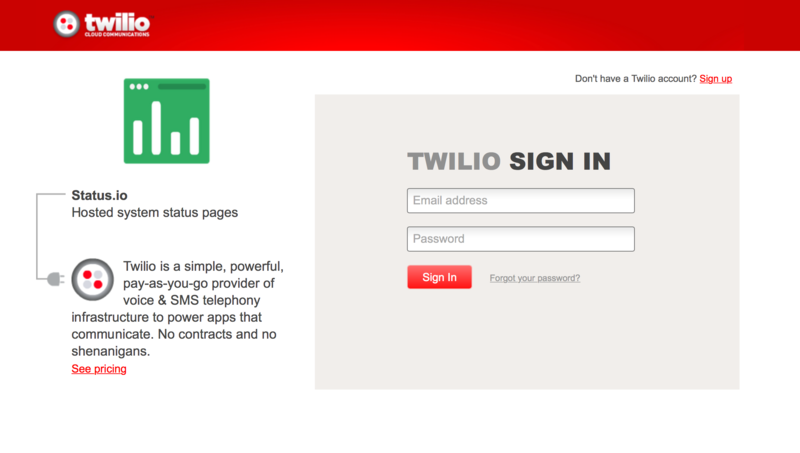 Instead we built an integration with Twilio, enabling the use of your own account. Authenticate with your existing Twilio accout, or sign up for a new account. By granting Status.io permission to your account, you allow us to send and receive messages. However we do not have access to your account’s data. Keep track of SMS usage directly in your Twilio dashboard. Visit our knowledge base to learn more about SMS notifications.